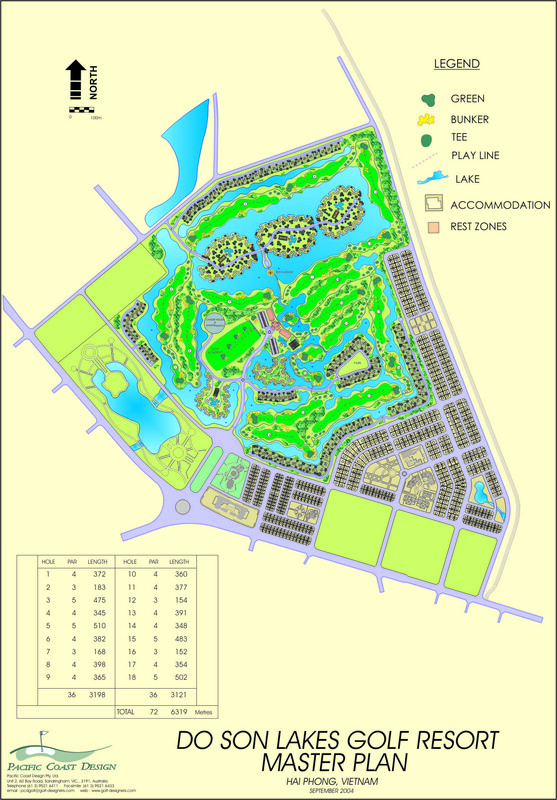 Located near the International Airport the Heron Lake Golf Resort gets its name from the adjacent lake which is the heart of the regional town center. 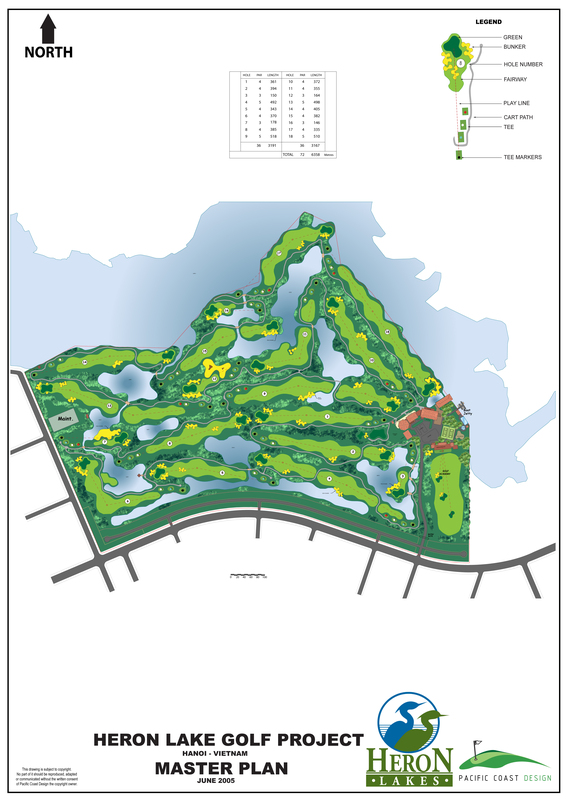 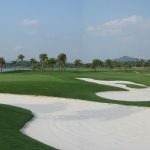 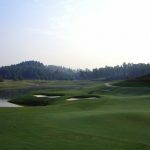 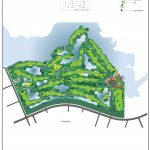 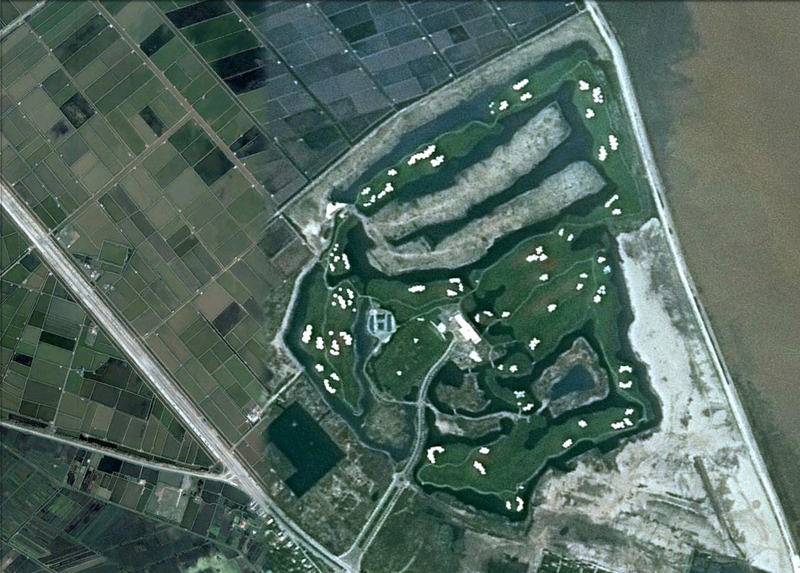 This was PCD’s second golf course in Vietnam and will feature extensive lake systems linked to the main lake and elaborate beach bunkers where sand and water overlap at the lake’s edge. 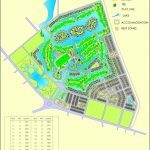 The Vietnamese developer, Construction and Urban Development Joint Stock Company engaged PCD in 2004 to Master Plan the site inclusive of Hotel, Club, residential and opened in 2007. 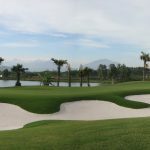 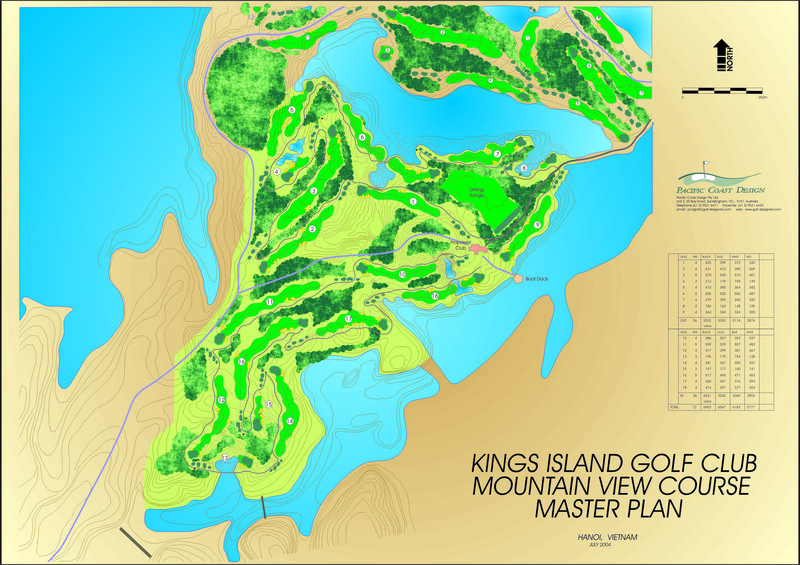 The first golf course in North Vietnam, King’s Island Golf Club has again excelled in another first for this region by completing the second eighteen hole course on their magnificent property which now boasts of a 36 hole golf facility. 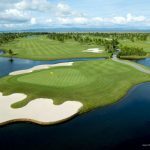 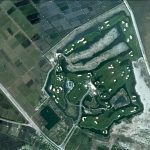 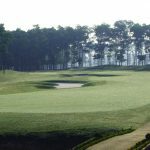 The new PCD designed course named Mountain View is by far more visually spectacular and challenging to play over the existing Lakeside Course which gives members a variety of options on which course they wish to play. 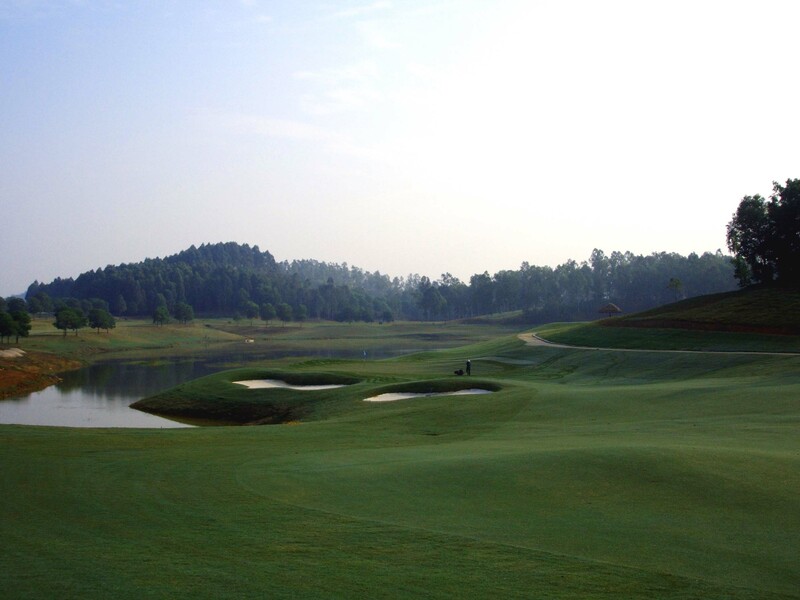 Mountain View is a championship layout Par 72 – 6416 metres (7016 yards) which offers multiple tee systems and a range of shot making options for golfers at any handicap. 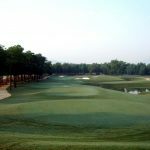 Only 36 km from the center of Hanoi, and a 3 minute speed boat ride across the Dong Mo Lake and you arrive at the exclusive hideaway island. 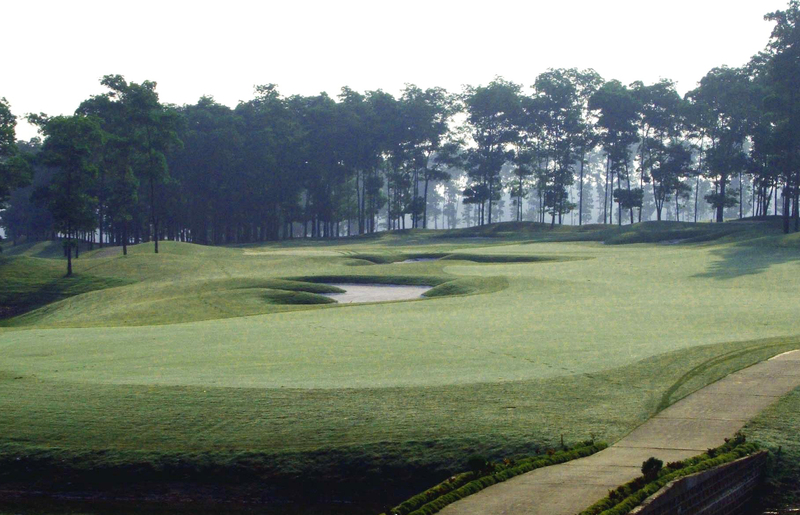 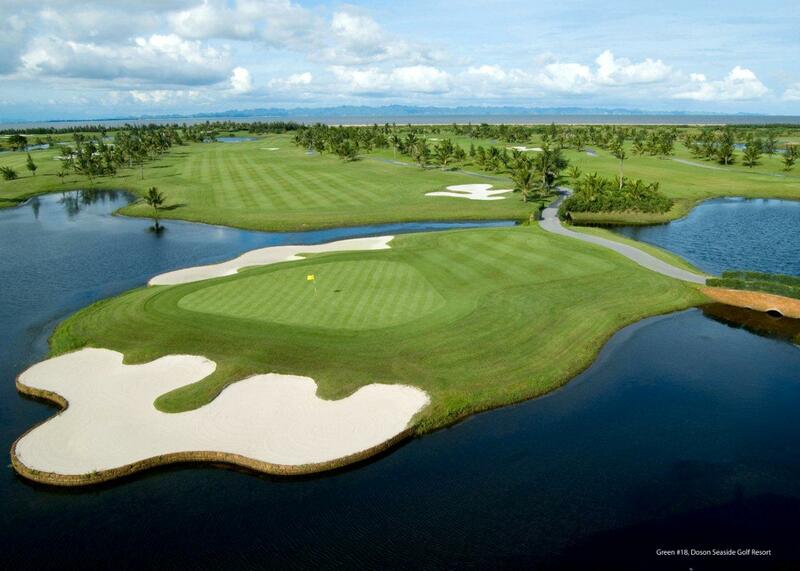 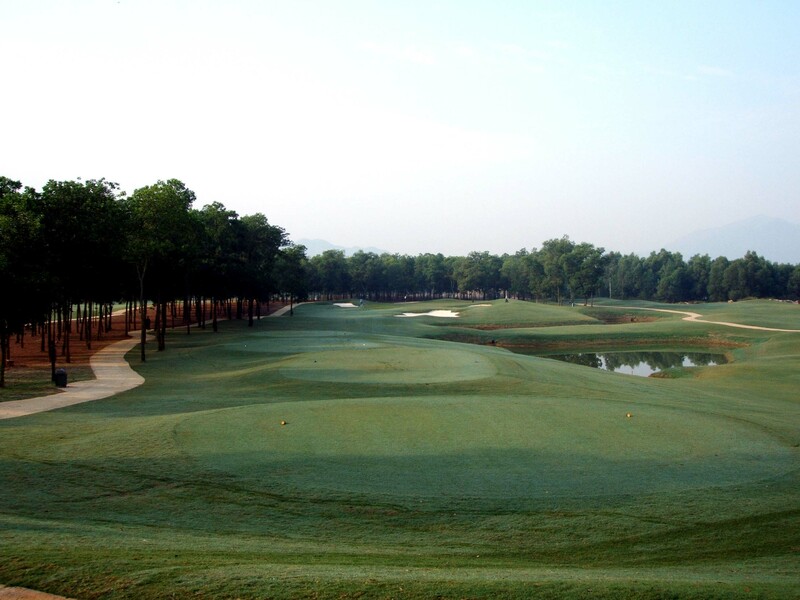 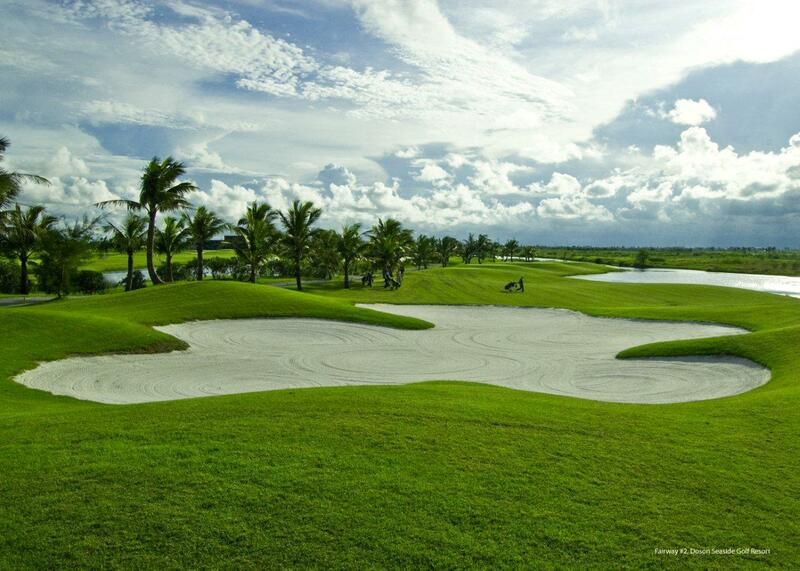 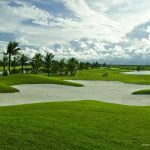 The Golf resort has state of the art facilities, and is often said to be the best golf course in Vietnam. 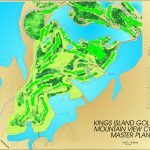 The Mountain View Course has some amazing views, will leave you wanting more and will be a round of golf you will never forget. 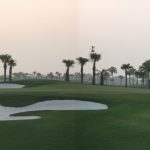 The course has won many awards and will continue to be a favourite destination for golfers wishing to experience something and somewhere different.